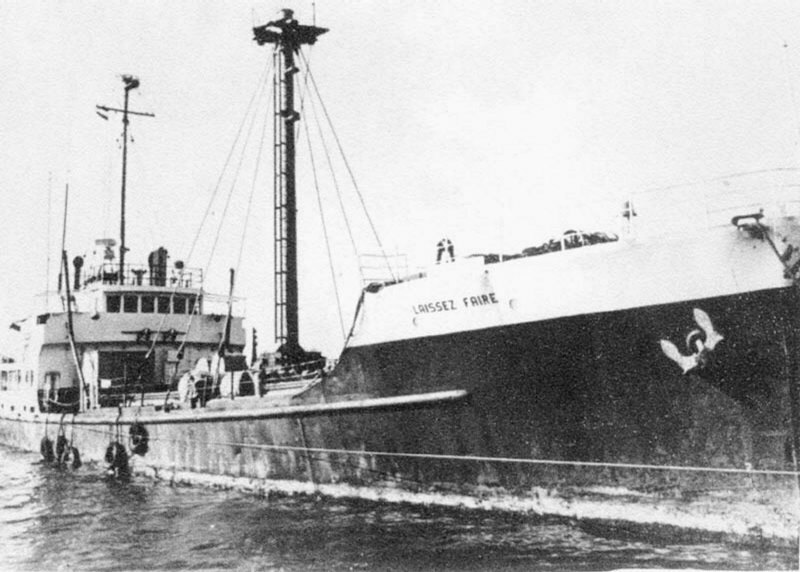 Laid down in 1944 as FS-263 for the US Army at Wheeler Shipbuilding Corp., Whitestone, Long Island, N.Y.
Decommissioned, 8 September 1955, at Portland, OR. 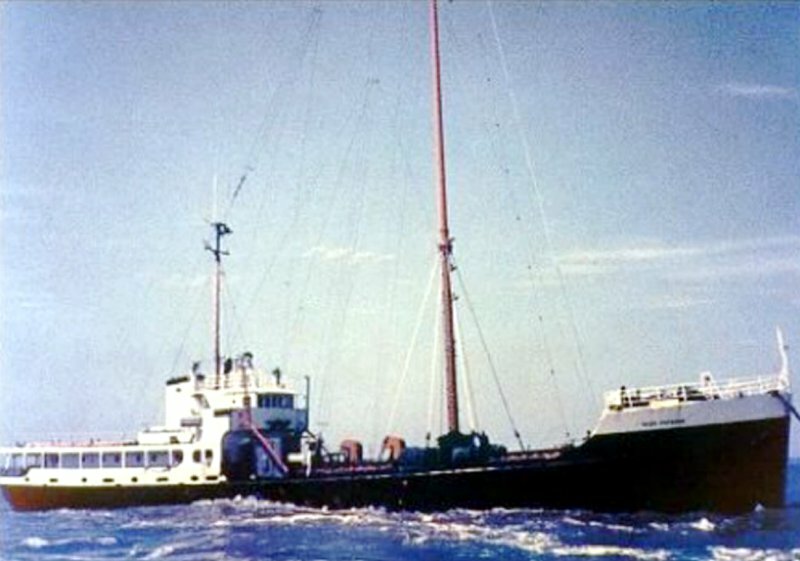 Laid up, 13 April 1955, in the Pacific Reserve Fleet, Columbia River Group, Astoria, OR. 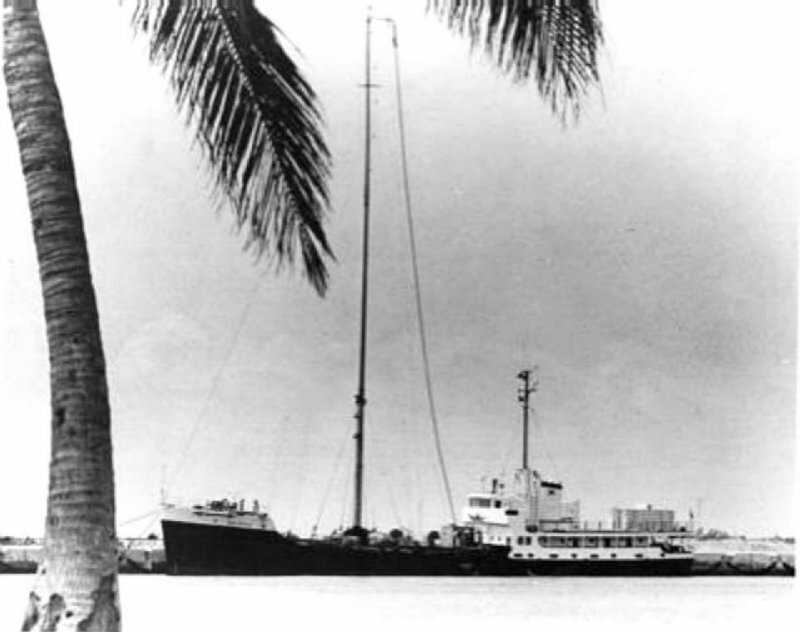 Current Disposition, commercial fishing vessel F/V Earl J. Conrad, Jr. (USCG Doc. No. 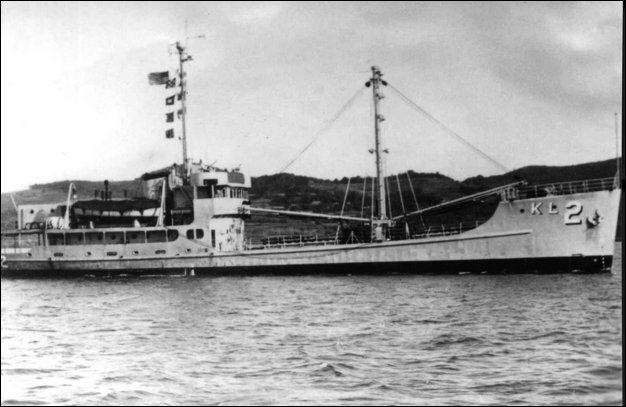 547733) operating out of Reedville, VA.
48k USS Deal (AKL-2) entering Sasebo harbor, Japan, circa 1954. Photo courtesy of Les Wright, former Deal XO. 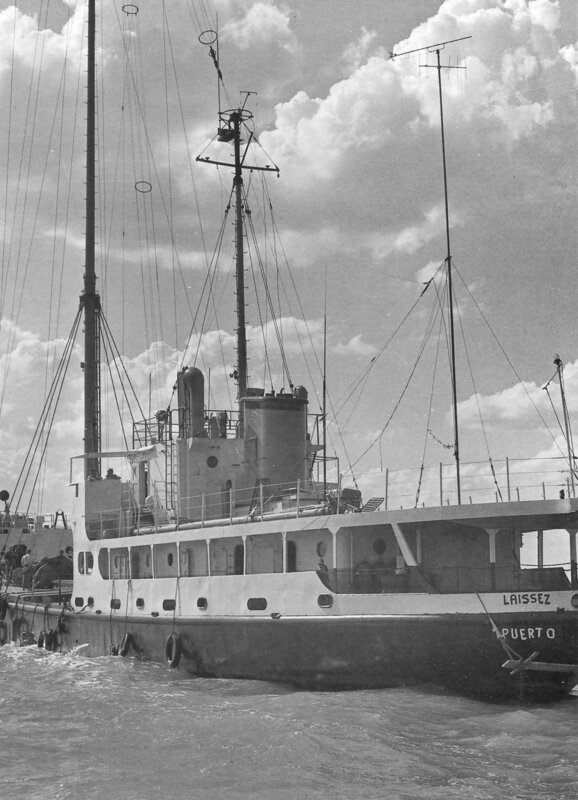 536k M/V Laissez Faire operating as pirate radio station off Frinton-on Sea, Essex, in July 1967. 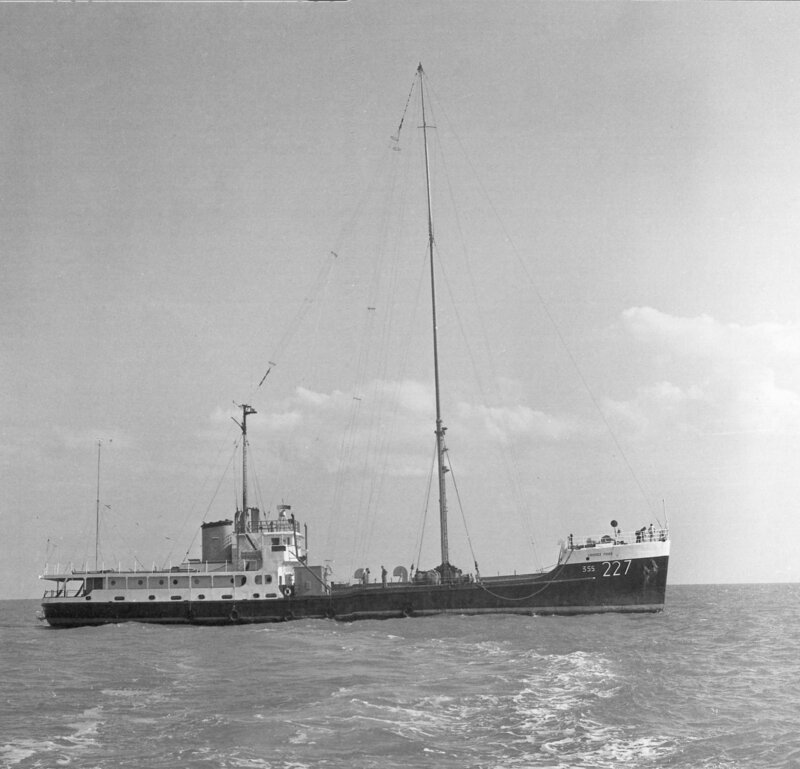 At this time she was home to Britain Radio (closed down on 22 February 1967) and Radio 227.